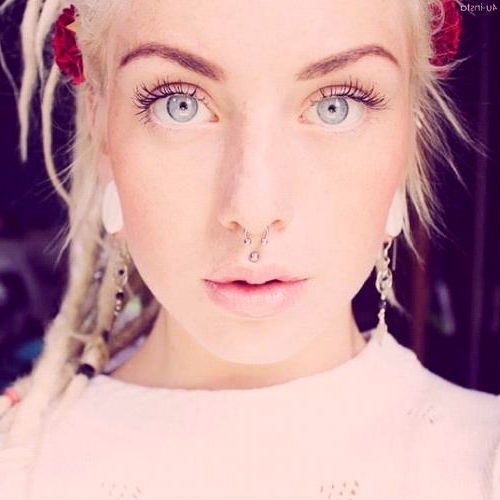 One of the most appealing piercing styles, medusa piercing is receiving a lot of attention lately, especially from the young female crowd, for its interesting location. 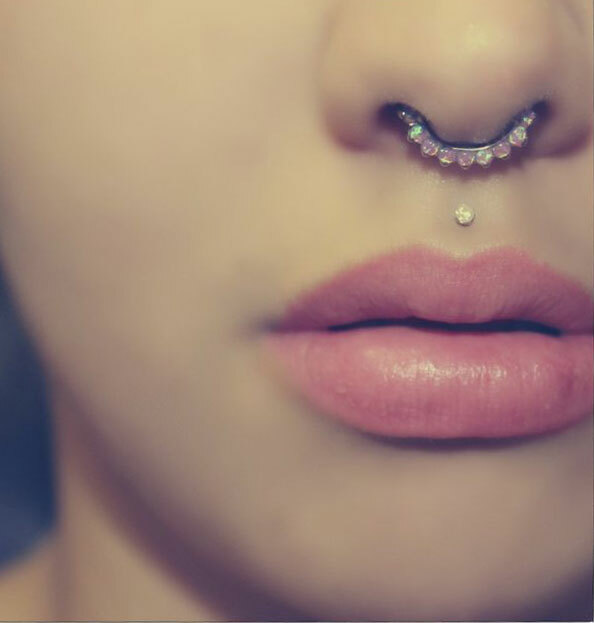 A popular type of upper lip piercing, it involves the perforation of the philtrum, a vertical groove located in the middle region of the upper lip below the septum of the nose. It is also known as philtrum piercing. 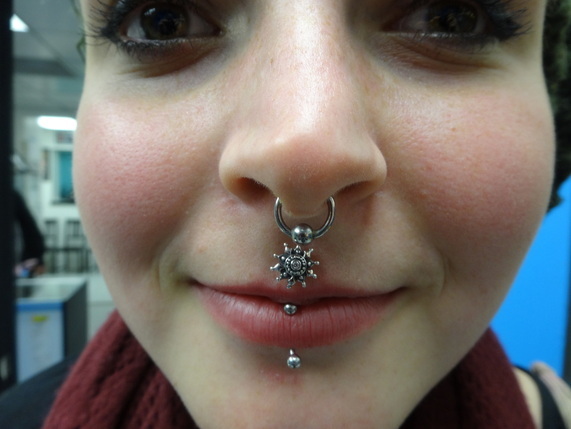 If you are eager to sport the piercing, then go to a well-known piercing salon for a safer experience. Before the procedure, the piercing expert will clean the region above the upper lip thoroughly with an antiseptic solution. You would be then given an oral antimicrobial solution for washing your mouth. A hollow, light needle is pierced through the area with the help of a clamp stretching the upper lip. The jewelry is inserted accomplishing the piercing. Having a rich supply of nerves above the upper lip makes the piercing a bit painful. However, those with a low pain tolerance might get more hurt during the process. 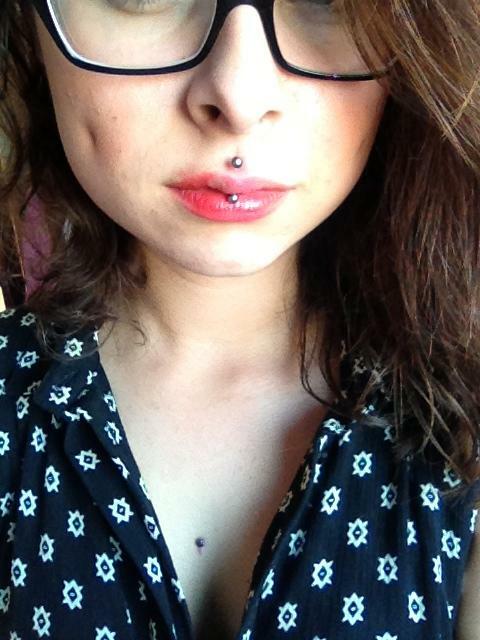 The piercing might take 6 to 12 weeks for permanent healing. 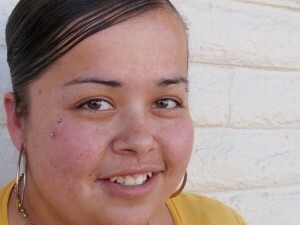 A fresh piercing has a high risk of getting infected characterized by severe swelling, redness, pain, and pus discharge. Ignoring these signs can increase the severity of the condition, and, therefore immediate medical care would be needed. 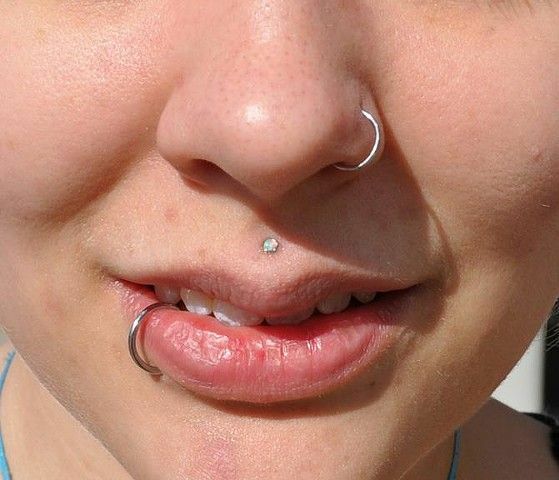 As it appears in most lip piercings, the gums and teeth have a greater chance of getting eroded leading to loss of teeth over the course of time. The piercing may also undergo rejection or migration as a result of the placement of an incompatible jewelry, causing a scar. Being a single point piercing, it gives you lesser choices for trying out jewelry of different types. 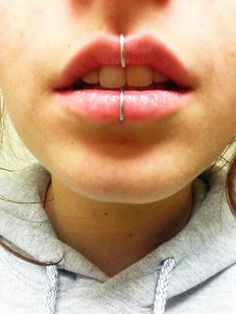 As labret studs are ideal for the piercing, look for some unique designs that will make your upper lip appear attractive. 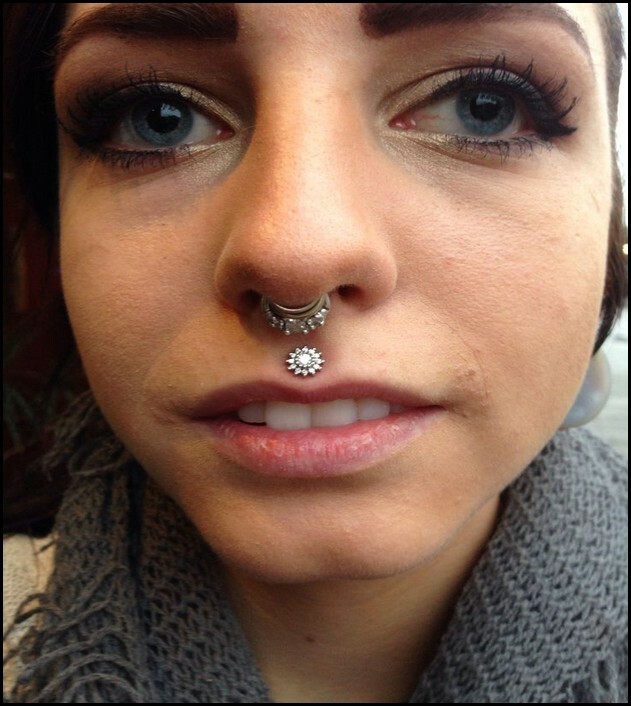 Although rings are difficult to fit into the philtrum, you can have a discussion with your professional piercer. Acrylic retainers can be worn to hide the piercing at schools and workplaces. For those wanting to sport a fake medusa piercing can go for colorful magnetic studs. 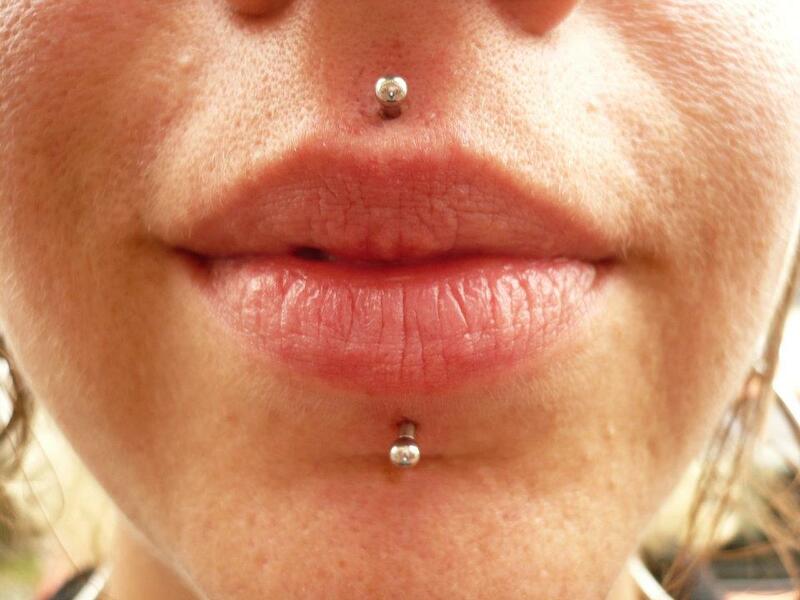 It involves double perforations of the philtrum that could be adorned with a combination of small and large studs. A curved barbell is used to pierce the vertical groove above the upper lip with both ends of the jewelry visible.